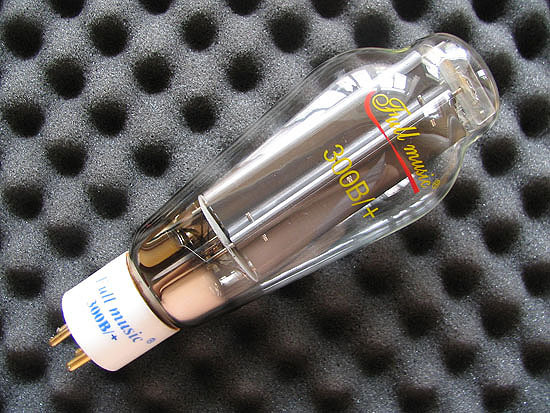 Classification- Dome-type bulb of glass, a white ceramic base with four-prong bayonet golden pins, oxide coated filamentary, carbon plate triode. 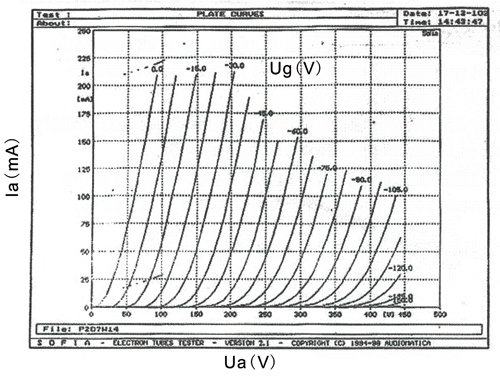 Application -Audio frequency amplifier where power outputs of approximately 22.5watts or less is required at relatively low plate voltages. 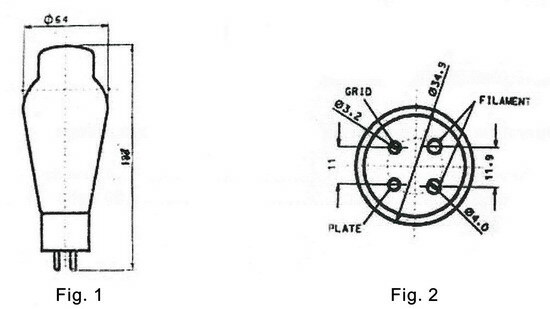 Dimensions -Dimensions, outline diagrams of the tube and bases, and the arrangement of electrode connections to the base terminals are shown in Figures 1, 2.